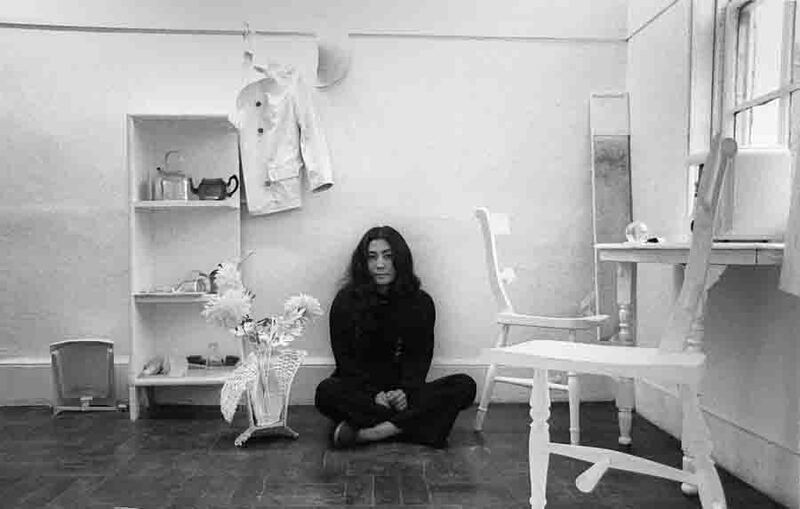 Yoko Ono (Half-a-Room installation), photographed by Clay Perry in 1967. For the avant-garde art scene of 1960s London, photographer Clay Perry was a key figure, documenting many of the most innovative international artists of the period. Perry worked with artists such as Yoko Ono, David Medalla, Robert Rauschenberg, Sérgio de Camargo, Gustav Metzger, Jesús Rafael Soto, Mark Boyle, Mira Schendel, Liliane Lijn and Takis. In the summer of 1964, he became ‘house photographer’ for SIGNALS Gallery, and produced iconic images for the SIGNALS Newsbulletin, the publication that provided a forum for artists, writers and poets involved in experimental art and was “dedicated to the adventure of the modern spirit”. After SIGNALS closed, Perry went on to take photographs for Indica Gallery in 1966, and to make a series of photographs of Yoko Ono at her Lisson Gallery Half-a-Wind exhibition in 1967. Perry became an established editorial photographer, working extensively for The Sunday Times Magazine, producing books with Thames & Hudson. His work is represented in the National Portrait Gallery, London, and has been included in museum exhibitions in London and New York. His photographs from the 1960s have been exhibited internationally and reproduced in numerous publications. This display brings together some key images from Clay Perry’s Archive, including images of Yoko Ono, David Medalla, Mira Schendel, Sérgio de Camargo and Jesús Rafael Soto; together with archival material including original copies of SIGNALS Newsbulletins.